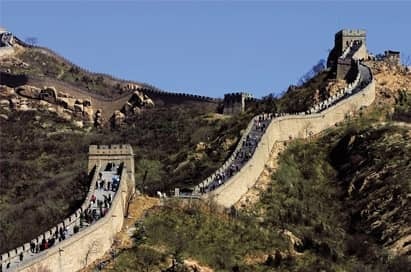 School trips to China are rocketing in popularity as its global importance and influence grows. The third largest country in the world, it has scale, grandeur, history, culture and controversy; the perfect ingredients for a fascinating trip. 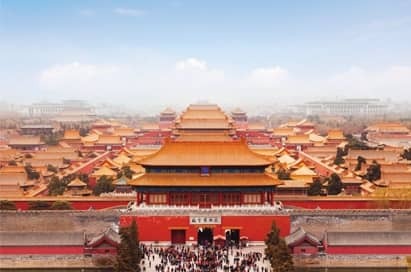 Capture your students’ imagination at the Forbidden City, the imperial palace from the Ming and Qing dynasties; visit Tiananmen Square, the site of so many important events in Chinese history, marvel at the ancient Terracotta warriors and of course take a walk along the Great Wall of China, one of the great wonders of the world. From the ancient to the modern, whatever your discipline there is so much to pack into your itinerary that is sure to challenge and inspire your students in this unique and awesome country. The Forbidden City was the former imperial palace, which was the home to twenty four Chinese emperors over 491 years between 1420 and 1911. 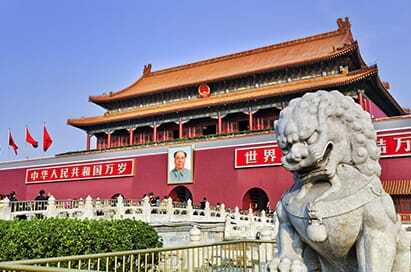 The Forbidden City is now known as the Palace Museum and is open to Beijing’s visitors. Wear comfortable walking shoes as the palace is 960 meters long and 750 meters wide. Tiananmen Square was the original gate to the Imperial Palace, and has been burnt down and rebuilt many times between 1417 and 1651. Today, it is remembered as the place where Mao Tse-Tung declared the foundation of the Peoples Republic of China (1949) and more recently was the scene of the 1989 Massacre. 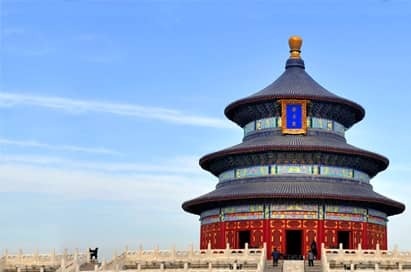 The Temple of Heaven was completed in 1420, but has been expanded over the years by two Qing Dynasty Emperors. Quinian Hall, the Hall of Prayer for Good Harvests, with the three blue tiled cone shaped roofs, has become a worldwide symbol of Beijing. The new Xiushui Market is a modern five-story building that stands just next to the former grounds of the Silk Street clothes market. The imposing structure has a strong traditional Chinese flavour. 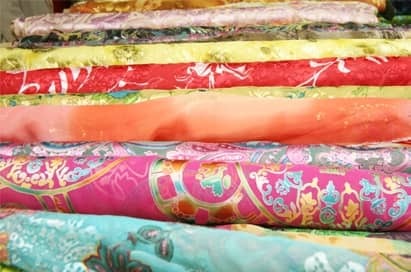 With about 1,500 stalls, the market is much bigger than the former street, selling bags, cases, shoes, silk goods and Chinese paintings traditional crafts. In the 1980s, every major town had a Friendship Store. The chain was started in the late 50s as a sign of friendship between the Chinese and foreigners when China first opened to the outside world. The Friendship stores have now evolved into a six-story department store selling foreign and domestic goods that welcomes everyone. 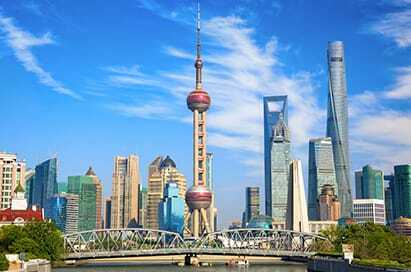 The Oriental Pearl Tower stands by the bank of Huangpu River. The tower is 468 metres high and is the highest TV Tower in Asia and the third highest one in the world. 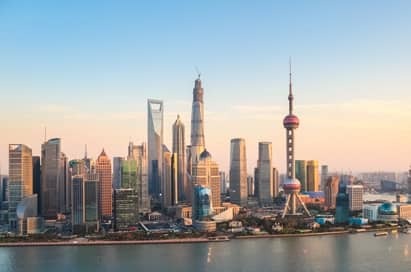 The sight-seeing floor in the brilliant upper sphere is 263 metres high and 45 metres in diameter and is the best place to get a bird's-eye view of Shanghai. Huangpu River, a symbol of Shanghai, originates in Dianshan Lake and empties into the Yangtze River at Wusongkou. It is 114 kilometers long and 400 meters wide. The river divides Shanghai into east and west. Ships depart from the Bund sail to Huangpu Bridge in the south, turn and head north towards Wusongkou, and return to the Bund.